A victim of the 2011 tsunami, Kamaishi turned to its tradition of rugby playing to help its recovery. Most people who come to Kamaishi by train do the last leg of their journey on the lovely Kamaishi Line, a 90 km railway which meanders through deep valleys thickly covered with beech and cedar forests. Passengers quickly lose themselves in a reverie, as if they were travelling back to the time when Miyazawa Kenji (author of the classic novel Night on the Galactic Railroad) lived in this area, but are abruptly brought back to reality when they finally leave Kamaishi Station behind and are welcomed by the ugly buildings of the Nippon Steel and Sumitomo Metal factory with its chimney stacks puffing black smoke into an already grey sky. This sprawling complex reminds people of the city’s past industrial glory. Indeed, it was here that, in 1857, Japan’s first blast furnace was lit — the start of modern iron production in Japan. Kamaishi’s reputation as a steel town has brought both good and bad luck to the city through the years. Due to its important role during WWII, for instance, its ironworks, warehouses and oil tanks were targeted more than once by the US Navy. On the other hand, Kamaishi played an important part in Japan’s postwar boom, and the place flourished up to the mid-1980s, reaching a population of 100,000. Today, though, this is just a distant memory: the local economy collapsed after the steel mills were closed in 1988, leading to a slow but seemingly irreversible loss of wealth and human resources. 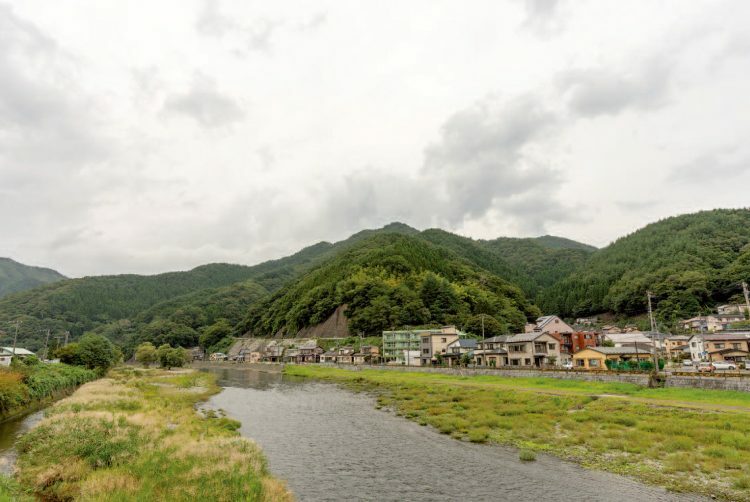 Nowadays, fewer than 35,000 people live in Kamaishi, and there are few signs that this negative trend can be reversed in the foreseeable future. The disaster Ichikawa mentions, of course, is the 2011 Tohoku earthquake and tsunami, which badly damaged the city and killed more than 1,000 people, adding to the place’s woes. Unfortunately, such events are not unknown in Kamaishi and all the other communities, whether large or small, scattered along Tohoku’s Sanriku coast. The earthquake and tsunami that devastated the area seven years ago was just the latest in a long list of natural disasters that have pummelled the area since time immemorial. Without going too far back in time, an 8.5-magnitude earthquake struck in 1896, followed by a tsunami that rose to a height of 30 metres in places, destroying 9,000 homes and killing at least 22,000 people. Another deadly combination struck in 1933, then the city was crippled again, in 1960, this time by a tsunami caused by the Valdivia earthquake in Chile – the most powerful ever recorded. On the day of our visit, about 15 people are gathered around a big TV screen to watch the Seawaves play away in Kyushu. They lost the first two matches of the season, and this is a sort of must-win game for them. Luckily, after a slow start, they score four tries and easily beat Kyuden Voltex 30-10. In October 2012, there was a rather unpleasant encounter between rugby and the earthquake when, during a match against the Seawaves, a player from Tokyo-based Yokogawa Musashino taunted his Kamaishi opponents by saying, “Has the quake made you guys crazy?” The club banned the offending player for a month, issued an apology and temporarily suspended all its activities. When the game is over, we take a walk around the city centre, located just behind the port. Everything looks clean and tidy and there are no obvious signs of the tragedy. Gone are the debris and even the red paint that, in 2011, could be seen marking buildings where officials had searched for bodies. Next, we hail a taxi and pay a visit to the new rugby stadium. Kamaishi Recovery Memorial Stadium officially opened on August 19th with a special event that included a number of exhibition matches. The facility has a capacity of 6,000, but 10,000 more temporary seats will be installed for the two matches the city will host during the World Cup: Fiji vs Uruguay, and Namibia against the winner of the repechage tournament, which takes place in November. The first thing one notices is that the facility was built next to the mouth of the river – a rather dangerous place, considering the constant danger of tsunami. “This is actually the place where the elementary and junior high school used to be,” Ichikawa points out. “Luckily all the students had done disaster training, so as soon as the tsunami alarm went off, they left their classes and escaped up the hill before the tsunami swept over the buildings. The stadium was built on this spot in memory of the disaster. As you can see, a floodgate was built to protect the area from tsunami. Also, behind the stadium there are three paths leading to the top of the hill, which people can use as escape routes.” Not far away from the stadium, even the railway station has been rebuilt. They are currently doing test runs, and it should become fully operational next March. There are times when living in Japan feels like standing on a ticking time bomb, and the last few years have been fraught with all kinds of natural and man-made disasters. Before boarding the train that will take me home, I metaphorically tip my hat to the courage and persistence of places like Kamaishi.